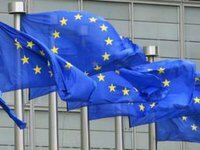 The European Union considers the "elections" held in the so-called non-government-controlled territories of "LPR" and "DPR" on November 11 as illegal and illegitimate, and doesn't recognize them, Declaration by the High Representative on behalf of the EU said in the statement, released by the EU Delegation to Ukraine on Monday morning. "The EU condemns these ''elections'', as they are in breach of international law, undermine the commitments taken under the Minsk agreements and violate Ukraine's sovereignty and law. The Minsk agreements exclusively provide for local elections to be held within the framework of the Ukrainian legislation and under the OSCE standards and observation. These reasons render these so-called "elections" null and void," the statement reads. The European Union reiterates its full support for the independence, sovereignty and territorial integrity of Ukraine within its internationally recognized borders and recalls that the implementation of the Minsk agreements by all sides remains key to reaching a sustainable political solution to the conflict in eastern Ukraine, and underlines the responsibility of the Russian Federation in this regard. "We expect the Russian Federation to make full use of its considerable influence over the separatists it backs. The provisions of the Minsk agreements should be implemented fully and without further delay, starting with a comprehensive ceasefire and the withdrawal of heavy weapons, so as to create the necessary conditions for the political transition through local elections they foresee," it says. The EU supports the efforts of France and Germany in the Normandy format, as well as the Trilateral Contact Group and the OSCE for facilitating the implementation of the Minsk agreements.